When you subscribe to THE BRENDON SHOW, you change your life! 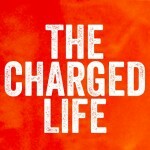 Below are links to all The Brendon Show and The Charged Life episode posts. That’s where you’ll find the video, mp3, summary, podcast links/downloads, quotes, and transcripts for each episode of The Brendon Show and The Charged Life podcasts. The Year of High Performance: Will this be a courageous year for you? How to Have More FUN!